Let the summer begin with a great Wialon Hosting update! We’ve considered the feedback you left on Gurtam forum and did our best to bring your suggestions to life with the latest version of the product. Considerable work was done on the CMS Manager system. We’ve implemented a handy classification of columns in all the tabs (“Accounts”, “User profile”, “Billing plan” and so on) for better work experience. We’ve also added an extra-usability element: if you need to add payment, simply click on Days or Balance tabs. Account views are now available in two modes: “Accounts” and “Resources”; also new filters were implemented: “Blocked” and “Top Account”. 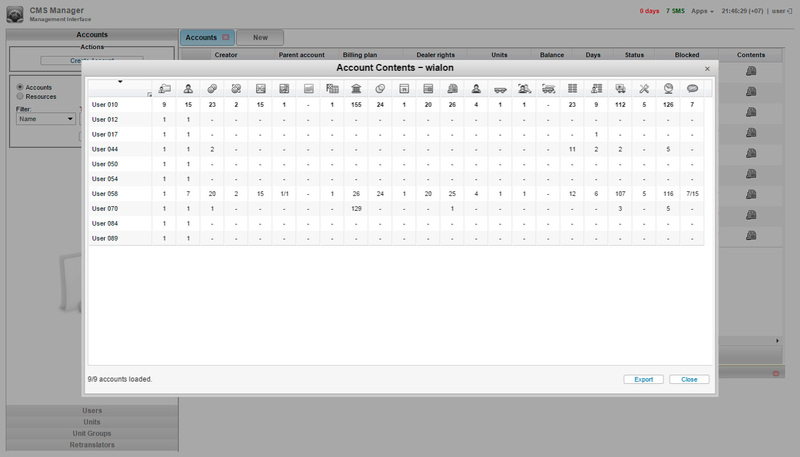 We’ve added four new columns to Accounts panel (“Billing plan”, “Units”, “Dealer rights” and “Blocked”). Top CMS Manager users can also work with Trash tab. Here all the units you’ve deleted will be kept for 30 days with an option to restore them. The elements are presented in the alphabetical order for easier navigation and sorted by name, type and time of removal. With new Wialon Hosting options, you can also view reports on account contents to monitor the number of microelements in the system. To choose visible elements (Geofences, POI, Users and Retranslators), you should tag or un-tag the necessary tabs. Last but not least, now you can change the name of billing plan. One of the most important innovations in the updated Wialon Hosting version is the opportunity to create a report with grouping by shifts. 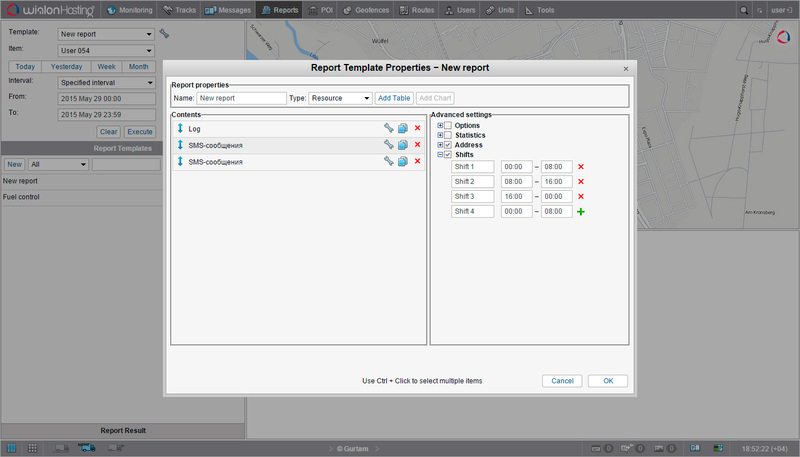 Start of the shift and its duration is set in Report Template properties. 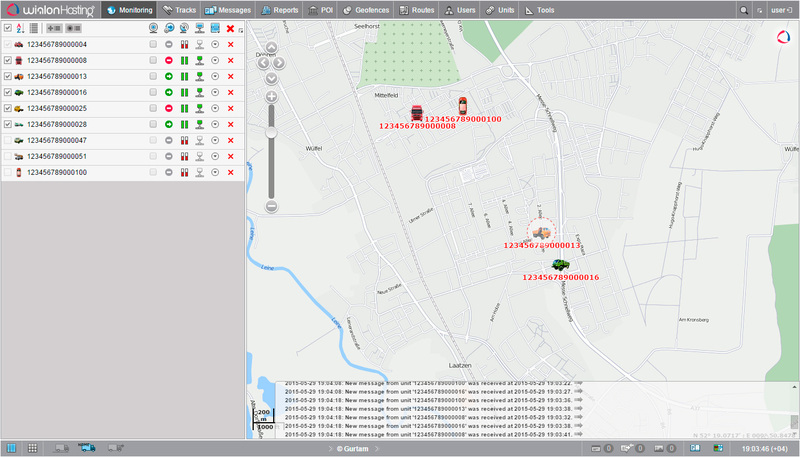 And alternative method to GPS location is a new handy feature in Wialon Hosting. When GPS satellites are not available, Wialon will automatically switch to LBS (cellular tower-based) location. This feature is activated in the Advanced tab of the unit properties dialog (“Allow positioning by cellular base stations” check box). If 'LBS detected' data is more recent than GPS one, then it will be used for determining current unit's location. 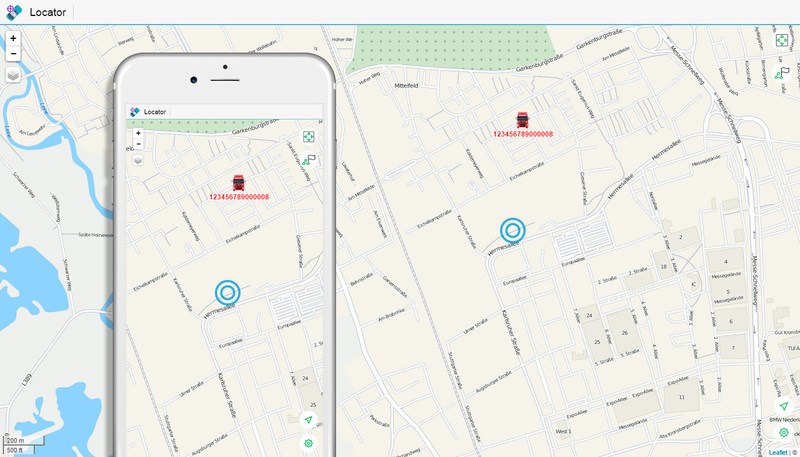 LBS location feature will be helpful for units tracking in container shipping, tracking in buildings and urban areas with poor GPS signal. The changes in Locator are related to the default period for which the track is built. If in the previous version of Locator the track was built for a full period Locator link was active, now the track is built only for the past 24 hours. Additionally, Locator now uses the same algorithm for requesting and rendering tracks as Wialon Mobile application does, which results in a substantially better performance. We also added the function of showing the current location: it will be handy for those using Locator on mobile devices. The map is scaled and centered on both unit's and user’s location. 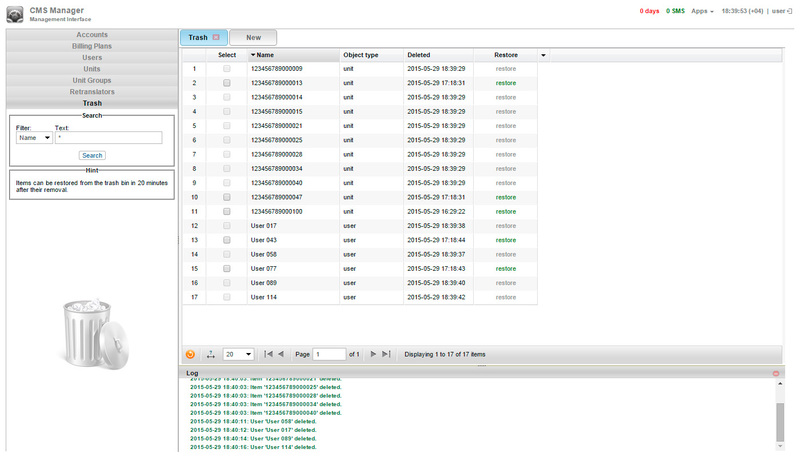 Earlier Wialon Hosting provided an opportunity to retranslate raw sensors parameters only. Now it has become possible to retranslate calculated sensors values too. To activate the feature while creating a new retranslator, just click “add calculated sensors values” check box. This innovation intends to significantly improve working with different types of hardware devices and will help streamline operators’ work. It’s a really nice feature for those who use Wialon as a communication hub to support hundreds of different types of devices in third-party software. 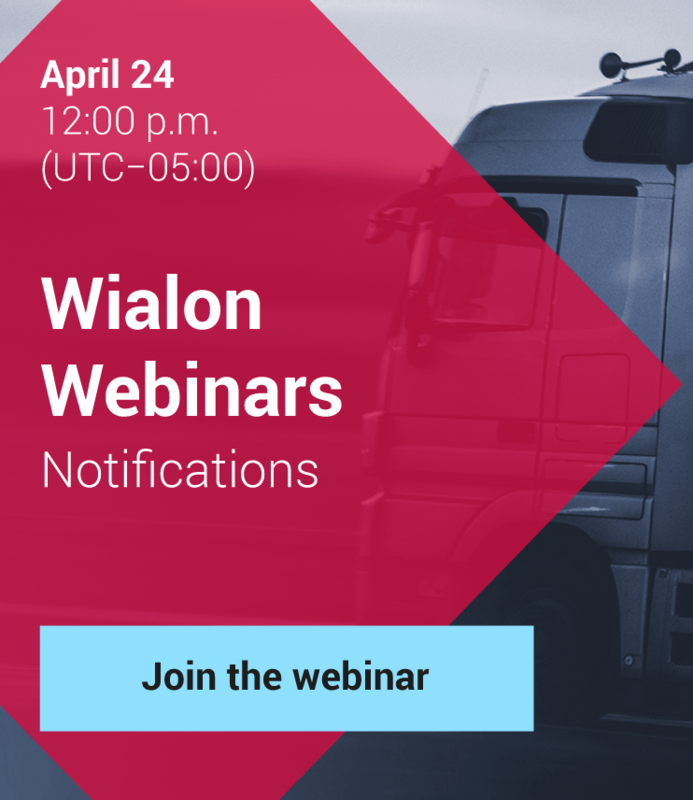 Another important enhancement in Wialon Hosting is Eco Driving and tachograph data reports both for drivers and groups of drivers. Now it is possible to build messages report based on “Sensor Tracing” reporting table and export the report into PDF/Excel format. In “Calculation Table” of “Sensor Properties” now it is possible to specify bounds not only for raw parameter values, but also for calculated ones. 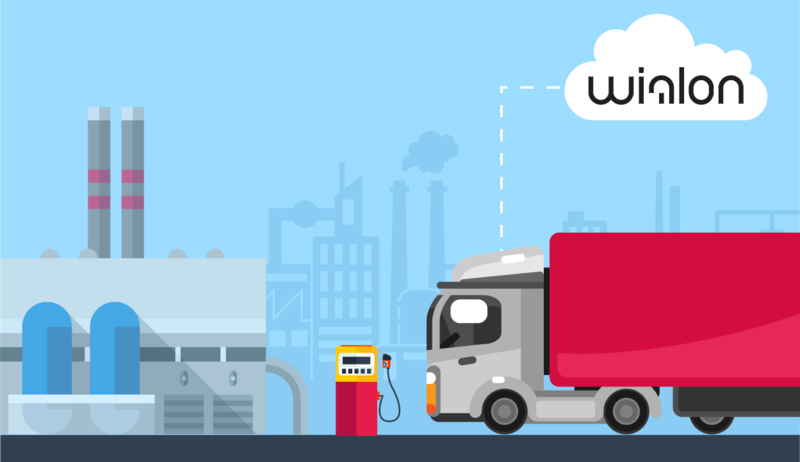 For example, earlier for fuel level sensor a user could only filter mV values sent by the tracker, and now it is possible to specify the volume of tank for filtering invalid sensors values. There’s an opportunity to display video content in Wialon Hosting now. Please note, that Wialon doesn’t store video content, meaning that it must be available through the web link. We did some special optimizations for Wialon Hosting monitoring site. Now it should be more comfortable to work from accounts which have access to thousands of units: the load depends only on number of units in unit list of Monitoring panel, thereby vastly increasing the speed of the initial account load. There are some more useful updates in Wialon Hosting, which, we think, will be enjoyable for you to find by yourself. Follow our weblog and leave your feedback at Gurtam forum. Have a nice day!